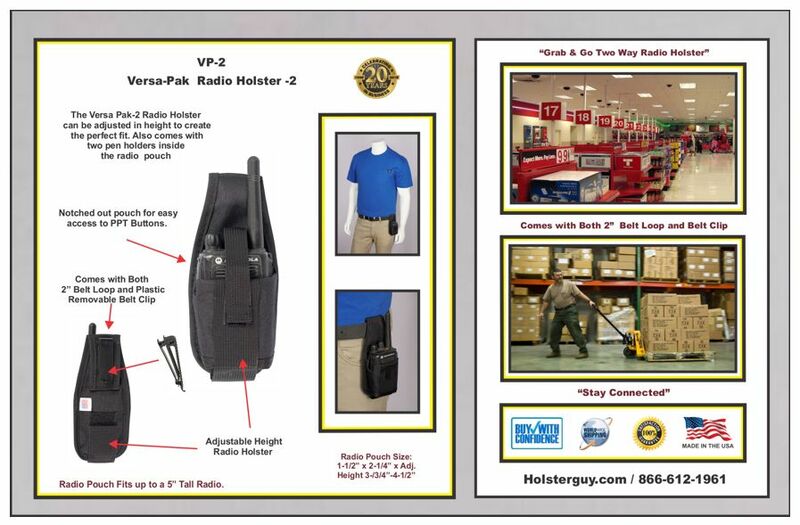 The VP-2, Radio Holster can be adjusted in height to create the perfect fit, radio pouch holds a 3" to 4-1/2" tall two-way radio. The adjustable radio pouch is notched for easy access to the PPT button. Holster also comes with both a removable plastic belt clip and a 2" belt loop. To top it off right there are two pen holders located inside the radio pouch.